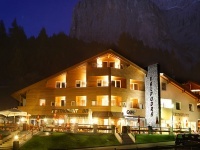 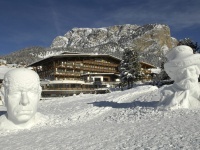 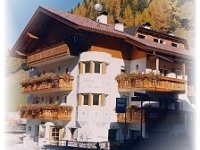 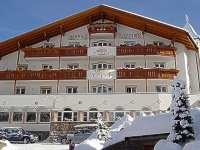 Welcome to the Hotel Mignon, Bënunì to Val Gardena at the four-star Hotel Mignon. 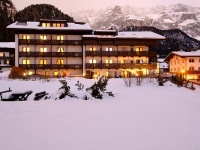 Surrounded by the majestic Dolomites the Spa Hotel Mignon nestles in the idyllic pedestrian area of Selva di Gardena. 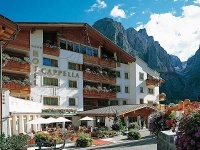 The hotel is located in the centre of Selva Val Gardena (1,560 m) and offers a splendid view of the surrounding mountains, just a short walk (400 meter) from the cablecar Ciampinoi Sella Ronda. 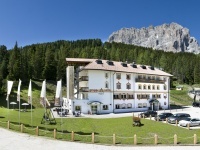 Special and unique, the new hotel FANES in Selva di Val Gardena, the best place to enjoy an unforgettable holiday in the Dolomites! 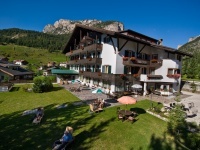 Surrounded from the sunshine and the splendid panorama, the Biancaneve Family Hotel, lies in Selva Val Gardena directly at the excursion paths in the nature reserve Puez Geisler. 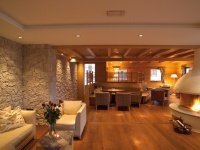 From the moment you arrive, you�ll fully appreciate the discreet elegance and utter relaxation of our cosy and comfortable hotel. 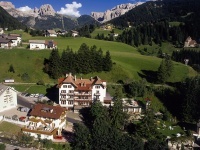 A Spa hotel in the heart of the Dolomites, situated at 1 km from Selva downtown, on a very quiet position, surrounded by its own garden. 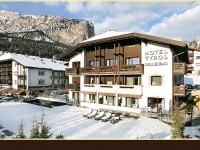 Heartly Welcome... in the Hotel Oswald, situated in the heart of Selva, surrounded by the magic scenary of the Dolomites. 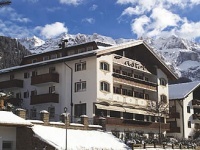 Situated in a quiet yet central location, it forms an ideal base for walks and excursions. 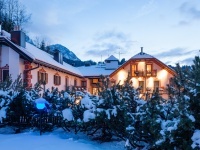 The location is perfect for the winter season. 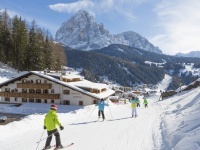 You can ski in and out from our Hotel directly joining the Saslong B slope-Sellaronda.Great starting point for a walk in the Summer. 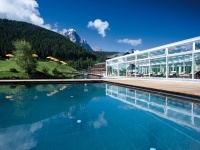 Wellness&relax incl. 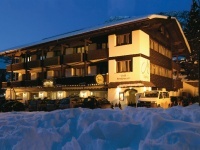 Openig winter 2011 with new apartments and rooms with B&B. 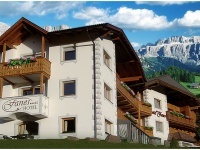 The pleasant ambience is shaped by a modern design with defined lines and the expression of local spruce wood as well as by our hospitality. 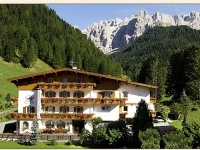 A charming chalet in the heart of the Dolomites with a magnificent panoramic view and a fine cuisine. 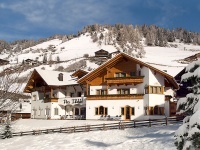 Discreet luxury and lovingly created details, the cracking fire in the open fireplace, the quiet reading corner and the warm wood of the Tyrolean Stube are a winning combination. 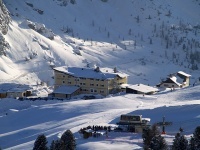 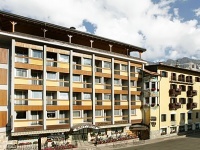 The hotel is centrally located and just 200m far from Ciampinoi Gondola lift, access gate to the Dolomiti Superski area. 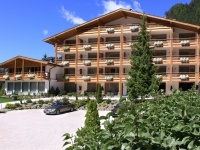 Pool, fitness area, wellness area, bar, internet wifi access, garage, parking. 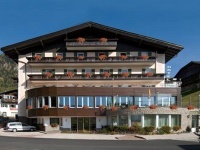 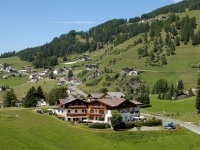 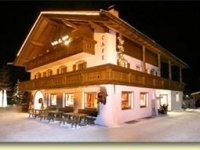 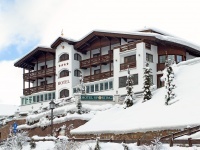 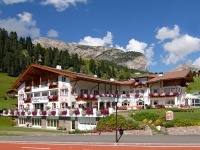 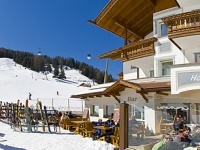 On your skis straight onto the hotel terrace!The Hotel JÃ�ï¿œÃ¢ï¿œÂ¬gerheim in Selva Gardena is located right on the slopes, 50 m from the Col Raiser gondola and the underground funicular Sellaronda Express! 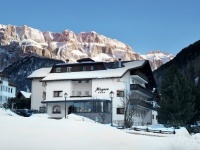 The hotel is an ideal starting point for skiing in winter and walking in the summer.Privat shuttle service an large wellness area with an outdoor whirlpool an panoramic view on the Dolomites. 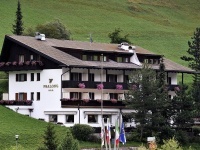 A hotel of a special kind with a splendid view of Sassolungo. 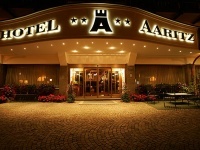 A pleasant and friendly atmosphere. 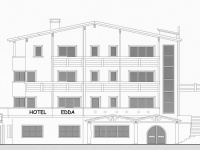 Nice hotel with swimming-pool and sauna next to the centre of Santa Cristina and next to the walking path. 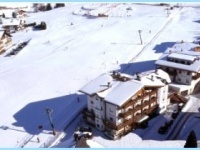 Skilift for kids directly behind the hotel. 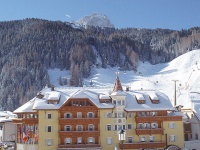 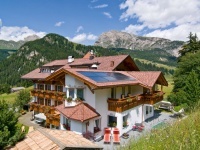 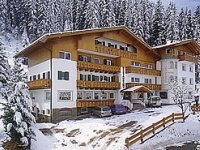 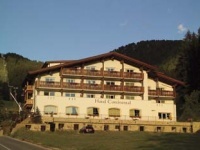 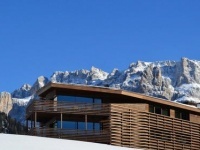 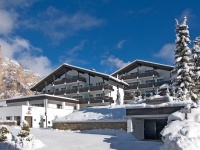 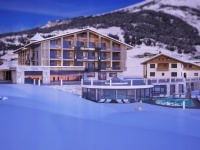 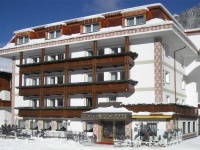 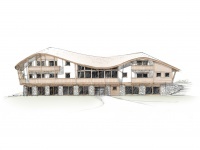 Located directly on the skipistes and lifts of the Sellaronda circuit. 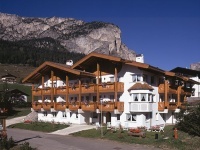 Completely refurbished. 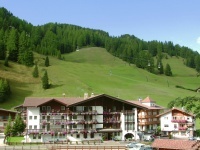 In summer ideally located in quite and panoramic position just 10 minutes over the centre of Selva. 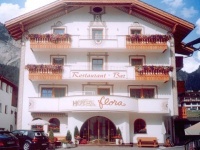 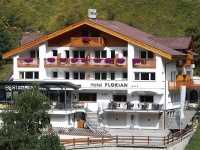 Our hotel is just 700 metres from the centre of Selva and 100 metres away from the nearest chairlift which connects you immediately to the Superski Dolomite ski area.We pride ourself on our cuisine. 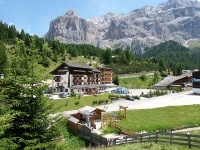 We offer diverse mountain bike adventures for every enthusiast Our hotel is situated in the center of Selva where every room features stunning views of the Dolomites.